In the above example, the first custom property indicates the edge banding color and sides to edgeband. 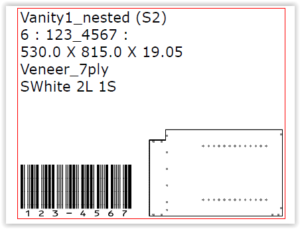 The part number is barcoded for QC / Part Count as well as auto program loading for post edgmanding work. The image ensures that this label is on the correct part (left vs right gable in this case). With the new capabilities also came the need for easier label customization. 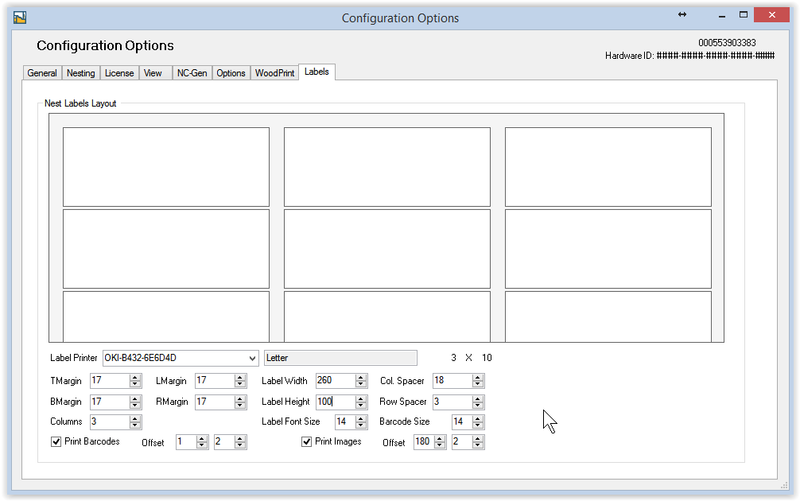 The Labels setup tab provides an easy ‘visual’ way to setup labels. The page sizes come from the selected printer and such things as margins, column spacing rows spacing and label dimensions are entered here. As each change is made the effects of each adjustment can be seen. Whether you use 3-Up Avery sheet labels on a laser printer or Zebra Rolls style labels, the setup is easy.